The intersection of pedestrian flows is a general phenomenon in daily pedestrian traffic and emergency evacuation. However, lacking of effective controls in crowed areas will result in pedestrian deceleration, stopping, and even threats to safety in evacuation. 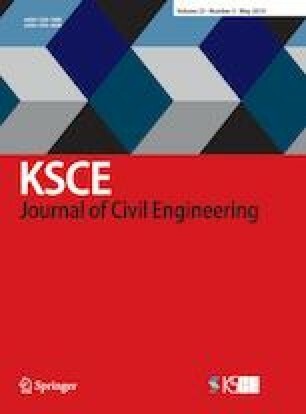 This paper focused on exploring the influence of different intersecting angles on evacuation efficiency of pedestrian flows in high volume. Through establishing a bidirectional pedestrian flow model with different intersecting angles for a busy metro station in China based on the social force model, two factors, namely the impact between pedestrians and the conflict frequency, were firstly proposed and validated as that playing major roles in influencing the evacuation efficiency during the pedestrian intersection. With the case study, it is found that the best intersecting angle is 120 degree and angles between 40 and 80 degree are unfavorable in optimizing the average crowd speed and the crowd density. The results are verified based on the comparative analysis with some existing experimental results. The outcomes of this work can offer some guidelines to control the intersection of pedestrian flows during evacuation and can make contributions to a proposal for the related, optimized design of a structure to increasing the evacuation efficiency of a dense crowd.